So begins the Oath of Allegiance that is recited at every Naturalization Ceremony for new citizens of the United States. These ceremonies can take place in nondescript federal office buildings, large convention centers or symbolic places like Ellis Island, a national park, or a national historic site. 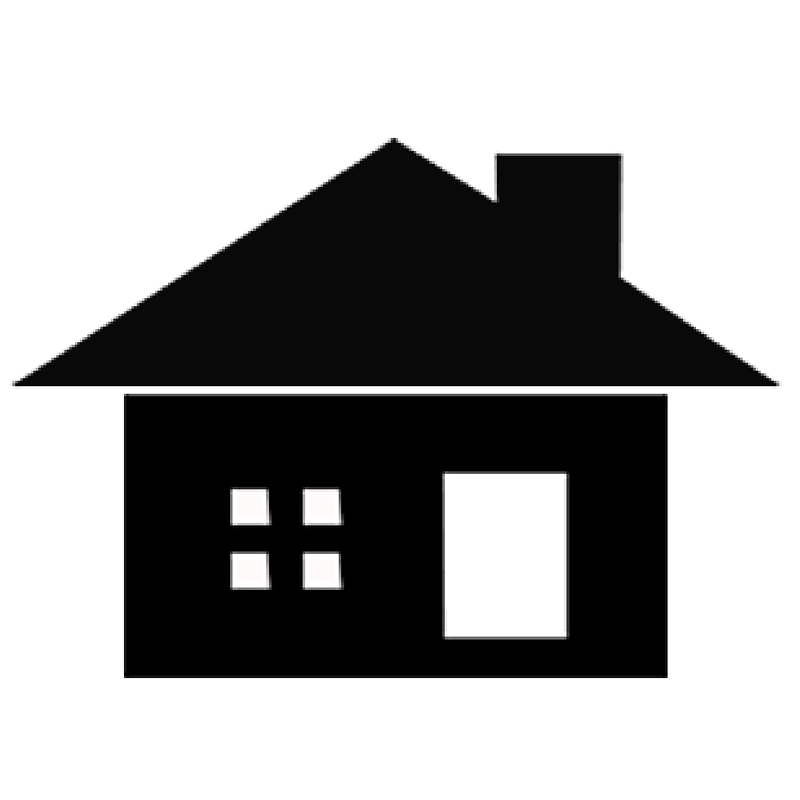 But here in Malden, there is an annual tradition of naturalization, begun in 2011, and spearheaded by The Immigrant Learning Center, Inc. (ILC). The annual ceremony was first held at the Malden Senior Community Center, but has since moved to Malden High School. 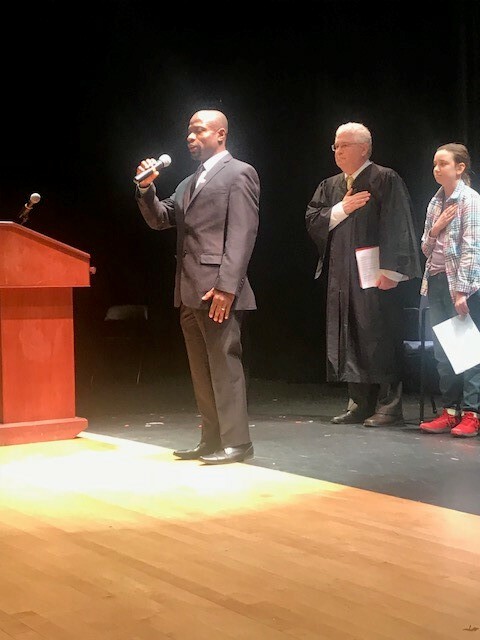 On Nov. 19, 2018, the annual ceremony naturalized 171 new citizens, who filled the center section of rows in the Jenkins Auditorium. According to Portnoy, the significance of this ceremony is also tied to The ILC’s Public Education Institute. 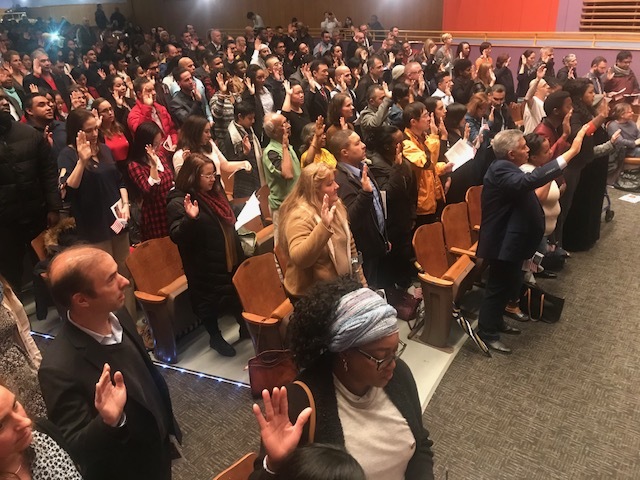 Both the Institute and this local ceremony provide evidence of the many immigrants who desire to become fully-contributing members of our community. “I’m very excited. I am happy because this is an important day. Now I will be a U.S. citizen,” said Joanna, a native of Cape Verde, before the ceremony started. “It’s the best day of my life,” said Paola, who is originally from Brazil. The ILC, in collaboration with the city and Malden High School, are able to give the ceremony a local flavor. 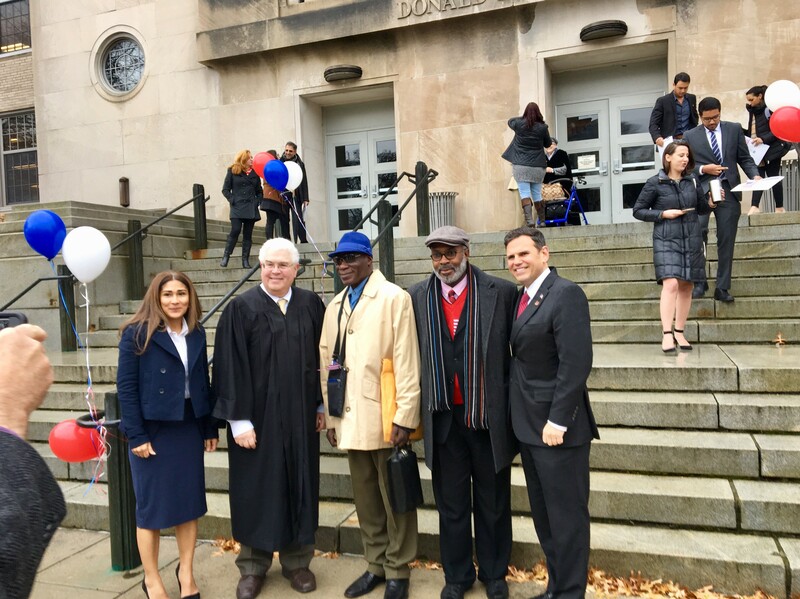 The ceremony was presided over by Federal Judge Frank J. Bailey, who also serves as chair on The Immigrant Learning Center Board of Trustees. Jeantilus Gedeus, a former ILC student and now a teacher at the school, sang the National Anthem. 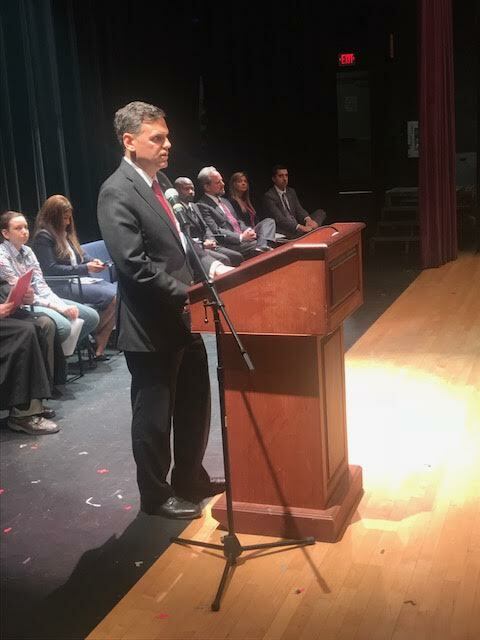 Malden Mayor Gary Christenson and Malden Superintendent of Schools John Oteri each delivered an address to the new citizens. Jason Silverman, also on the ILC Board of Trustees, led the group in the Pledge of Allegiance. 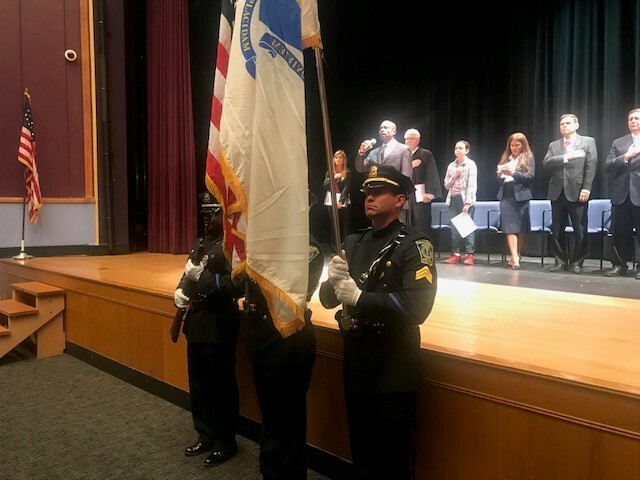 The opening and closing of the ceremony was led by Samantha Stoutenburg, a clerk for the U.S. District Court of Massachusetts. 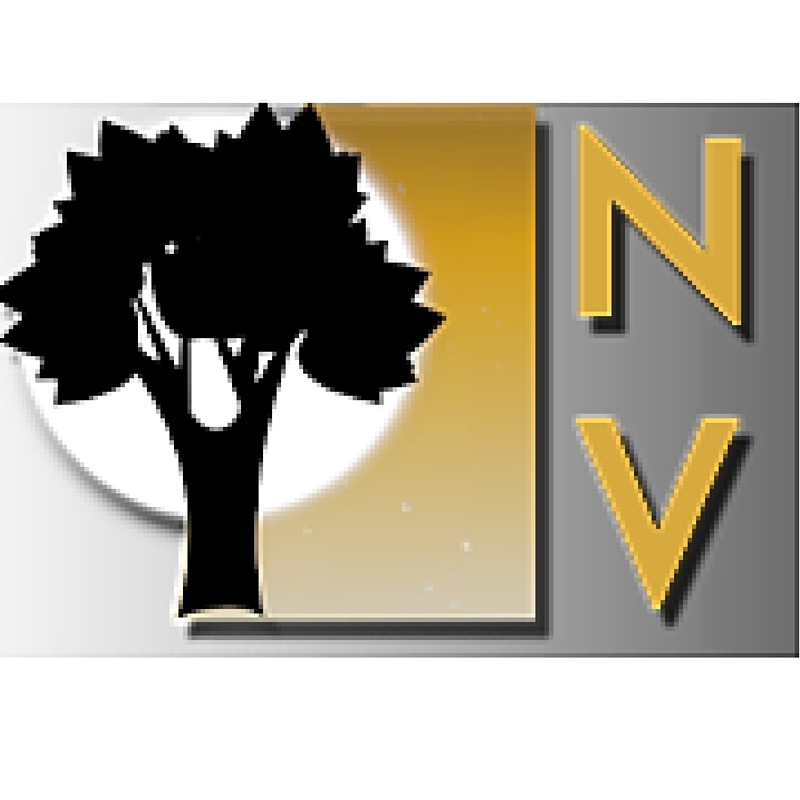 Below, view a short clip from the Naturalization Ceremony. To see the full video of the ceremony, click here.